When designing a kitchen, function and flair should work hand in hand. The appeal of glass tiling is that it’s easy to clean. Backing up the functionality is affordability. While glass tiling runs more expensive than ceramic, the cost is typically below stainless steel, and even some stones. Glass tiling is perfect for those with an artistic flair. Whether it’s simply a splash of color, a full mosaic, or even an intricate design, glass tile lets your inner artist shine. While the initial cost may be greater, glass tiling can more easily be found in pre-set sheets, making DIY installation far easier than many other types of tiles. 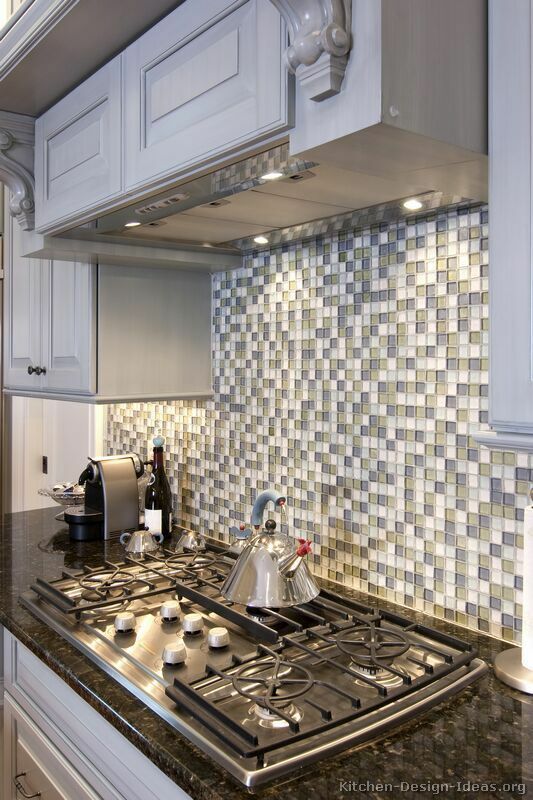 If you need a backsplash that can hold up to consistent use, ceramic tile is a great fit. The most cost-effective tile to professionally install, ceramic tiling offers a glazed shine with a variety of color options. Creating a clear, simple, ceramic backsplash is a great way to add a colorful flair to your kitchen. Between the cost-effectiveness and its low-maintenance nature, ceramic is unsurprisingly the most common type of kitchen tiling. 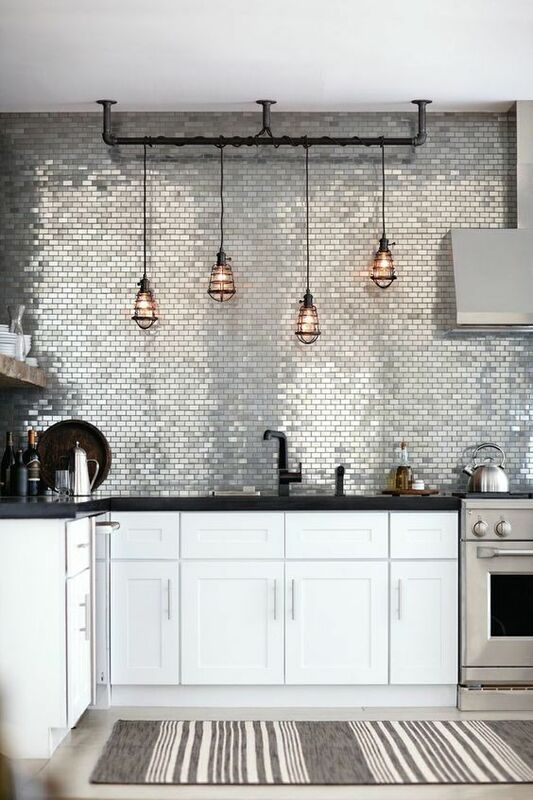 Stainless steel is one of the more popular backsplash options for those interested in a metallic finish, but we’re also seeing more aluminum, copper, and bronze tiles. The range in metal type obviously impacts the cost, but most metal tiles are much more expensive than their ceramic counterparts – at least $10 per square foot more. For that extra cost, however, you’ll receive a sturdy backsplash with a modern sheen that is easy to clean. 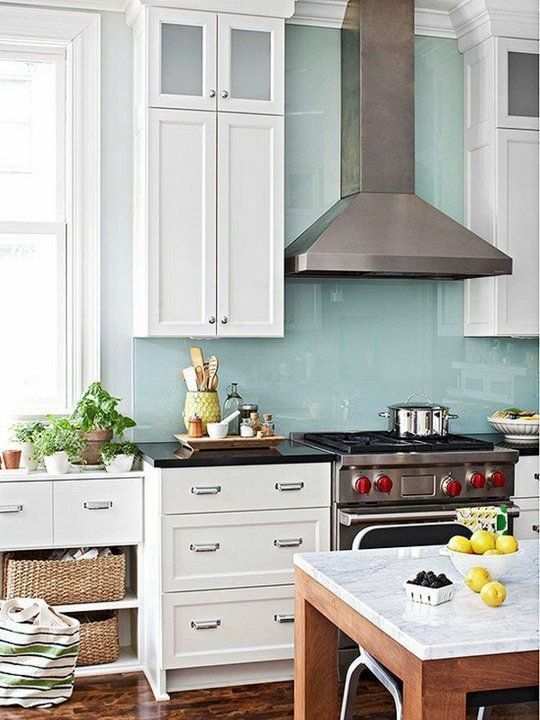 With stainless steel in particular, consistent maintenance is necessary to avoid a dulling of the backsplash’s shine. Sturdy? Check. Waterproof? Check. Classy? Check. From soapstone to marble to granite to good old-fashioned brick, there is no more low-maintenance backsplash base than stone. For the pleasure of acquiring a stone backsplash, you’ll typically pay more than most other materials. Between installation and material cost, the up-front payment can approach $1,000 for less than 30 square feet of wall space. With a wide range of stone to choose from, a number of color options are available at varying costs. If that upfront payment is manageable, the results will blend both aesthetics and function, and stone’s resiliency makes any follow-up costs minimal.